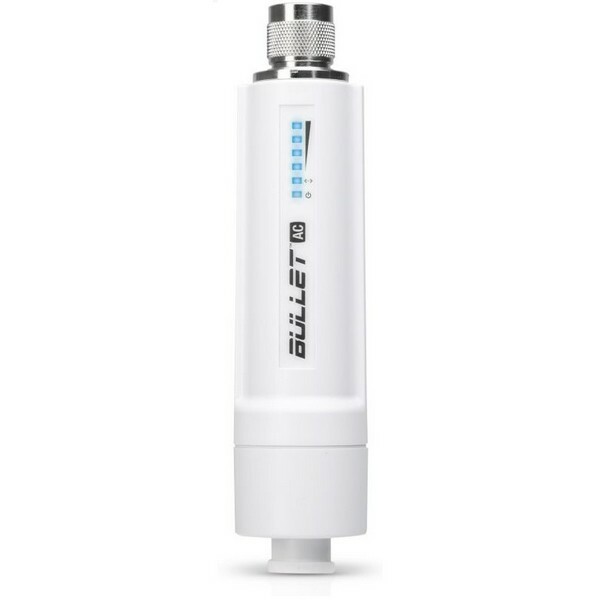 The Bullet AC covers both 2.4 and 5 GHz spectrums, covering a wide range of frequency bands that work well for both short and long-distance links. 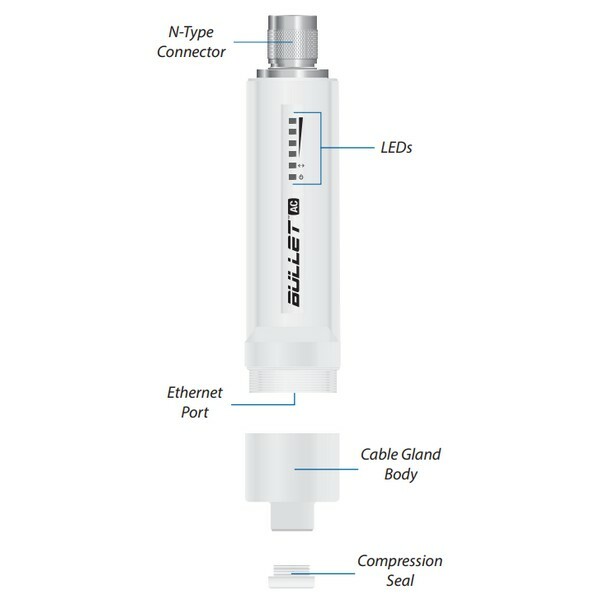 Passive Power over Ethernet (PoE) 24V Passive PoE functionality is included. Both power and data are carried over a single Ethernet cable to the Bullet AC. 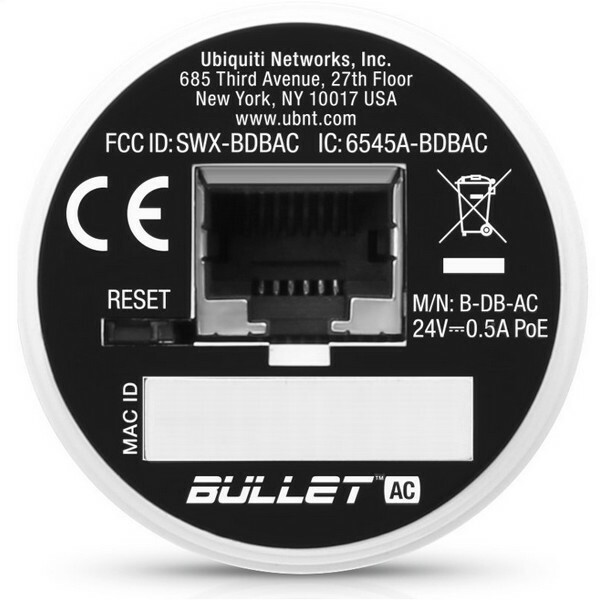 The Bullet AC offers up to 22 dBm of output power. The Bullet AC features a weatherproof design. Made from a high-grade, powder-coated aluminum, the casing can withstand nature’s harshest outdoor elements.